To make the syrup, combine sugar and water in a saucepan. Bring to a boil; boil for 15 minutes. Add remaining ingredients and simmer for 5 minutes more. Set aside to cool. Strain to remove cinnamon stick and cloves before using. In a bowl, add sugar, walnuts and spices. Butter an 11-by-17-inch (27-by-43cm) pan and layer six sheets of phyllo dough in the pan, brushing the top of each with melted butter as you lay them in the pan. Sprinkle one-third of the walnut mixture over the dough. Add six more sheets of phyllo, again buttering between the layers. Sprinkle with another one-third of the nut mixture, followed by a layer of six more sheets of buttered phyllo. Spread the final one-third of the nut mixture over, and top with the remaining phyllo sheets, buttering between the layers and buttering the top of the final sheet. Refrigerate for 15 minutes, then use a sharp knife tip to score the score the top of the pastry into diamond shapes. Bake at 180°C for 40 to 45 minutes or until golden brown. Remove from oven. 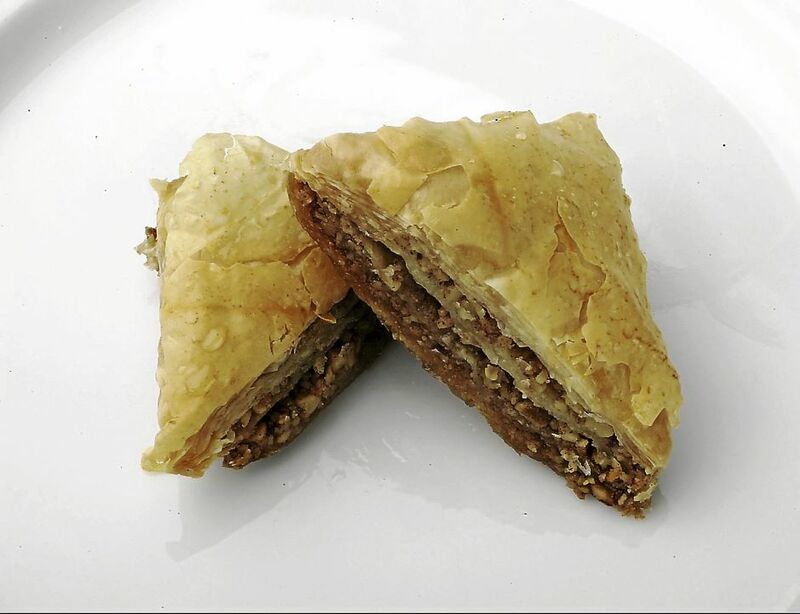 Cut baklava along score marks. Pour cooled syrup onto hot baklava. Let set for several hours or overnight to allow pastry to absorb the syrup.